Dropship is fast becoming the key way for retailers to up their game and compete effectively with the online retail giants. Being able to extend their product offering with minimal risk allows retailers to meet the demands of the modern customer: choice, competitive pricing, and excellent customer experience. But dropship can only deliver on these promises if it’s done right. 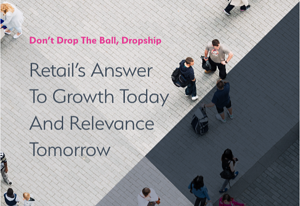 Don’t Drop The Ball, Dropship: Retail’s Answer To Growth Today And Relevance Tomorrow. Fill out the form on the right to get your free copy and start planning for dropship success in 2019.